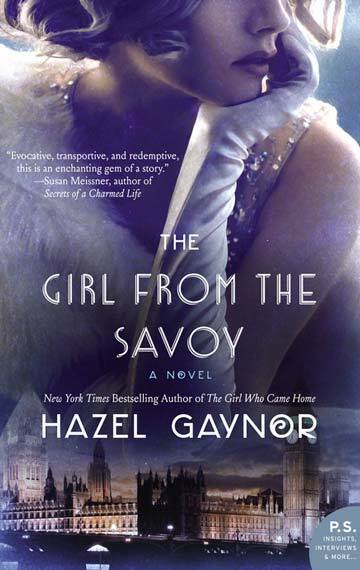 The idea for THE GIRL FROM THE SAVOY started with a conversation with my editor and our mutual love of the 1920s. There is something so magical about the way people dressed, spoke, sang and conducted themselves at that time, when the aftermath of war was still very raw and social boundaries were being pushed, especially for woman. 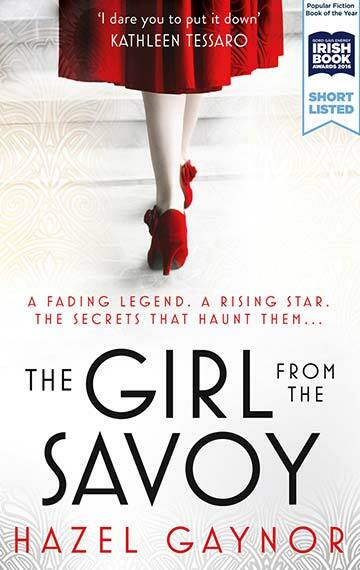 From the very beginning, I knew I wanted to write about an ordinary girl who found her way into extraordinary circumstances, and the setting of one of London’s most iconic hotels in the 1920s felt like the perfect place to develop such a story. My initial research took me ‘downstairs’ at The Savoy and into the workings of the hotel and its staff. My character, Dolly, soon emerged as I imagined what it would be like for a girl like her to have some small sense of the privileged guests of the hotel: the rich and famous who lunched in the famous Grill and stayed in the lavish suites and apartments which she would have access to. Many young girls dreamed of a better life at this time, and enhanced by the surroundings of the hotel, I wanted Dolly’s dreams to expand and to take her somewhere exciting and new. Although Dolly is entirely fictional, I drew a picture of her from the many accounts I read of young girls who longed to dance on the London stage. These ordinary girls had been thrown into the most extraordinary experiences during the war and, for many, the expectation to return to domestic service was almost impossible. After the horrors of war, is it any wonder they wanted to laugh and sing, dance and dazzle? In developing my second main character, Loretta, my research took me to the incredible collection at the V&A Museum Theatre Archives, where I scoured the scrapbooks and memoirs of the great theatrical producers and actresses of the era. There was so much material here that I couldn’t wait to start writing. Again, Loretta is entirely fictional, but her story is inspired by that of many respected society ladies who lived through life-changing experiences during the war, and couldn’t simply go back to the security of polite luncheons and tea parties. They wanted more, and they dared to challenge expectations. I wanted to explore that experience in Loretta’s story and in her progression from bored debutante to star of the West End stage. In my male lead characters of Perry and Teddy, I wanted to capture the impact of war on the young men who had survived, as well as on the women who were desperate for them to return. As we mark the centenary years of the Great War through to 2018, it all seems so distant and unimaginable. During my research I read many accounts of the emotional and mental scars that men returned with, and it was that aspect of war that I wanted to explore through Perry and Teddy. In writing their stories, I hope to capture a part of our collective history that we must never forget.